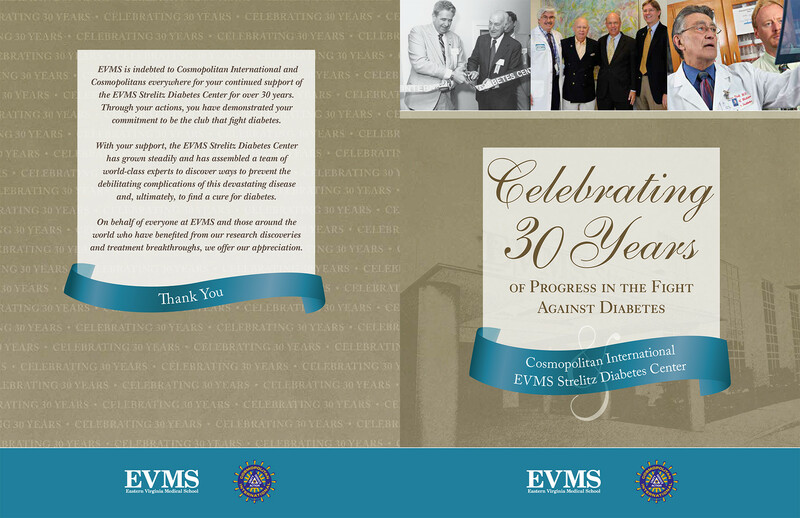 EVMS is indebted to Cosmopolitan International and Cosmopolitans everywhere for your continued support of the EVMS Strelitz Diabetes Center for over 30 years. Through your actions, you have demonstrated your commitment to be the club that fights diabetes. and, ultimately, to find a cure for diabetes. On behalf of everyone at EVMS and those around the world who have benefited from our research discoveries and treatment breakthroughs, we offer our appreciation. outside the region in search of specialized diabetes care. Recognizing the need for appropriate medical care closer to home, leaders from EVMS and the community came together to plan a dedicated center for diabetes care, research and education in Hampton Roads and the first on the East Coast. many of the leading academic centers and organizations around the world. Today, over 11,000 patients are seen annually in three branch offices. 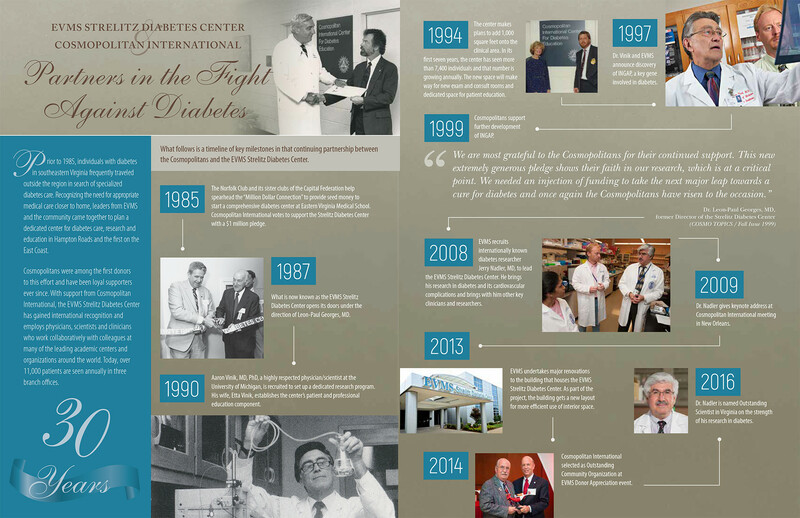 What follows is a timeline of key milestones in that continuing partnership between the Cosmopolitans and the EVMS Strelitz Diabetes Center.